The preservation photocopy, a reformatting format, arose in the mid-20th century when new forms of business documents - such as those produced by thermal printing (e.g. faxes and receipts) - suffered from “inherent vice,” or instability that included fading and other signs of deterioration. The National Archives and Records Administration recommended the use of copying by the then-new process of electrostatic copying to transfer unstable documents onto permanent paper. This 1980’s guideline was reinforced in the 1990s as the use of thermal facsimile technology continued. The American Libraries Association and Library of Congress’ brittle books programs advocated both for microfilm reformatting, and in the 1990s, preservation photocopying of books printed on acidic paper since they would not stand the test of time or handling. Today, the Library of Congress provides the specifications under the more generic term of Preservation Facsimile, since the reformatted print may be produced from a digital image sent to a dedicated printer which may or may not also function as a copier. From these bright moments in library and archives preservation arose standards for adoption, and protocols for use of those methods. In the Smithsonian’s museums, these standards not only apply to accessioned collections-such as physically photocopying original acidic newsprint articles found in collection onto permanent paper-but also for new permanent records created in the course of business – such as Registrars’ records or object labels. Here are two case studies of problems that resulted when the protocol for testing toner-based printers and prints was not followed. Before treatment. 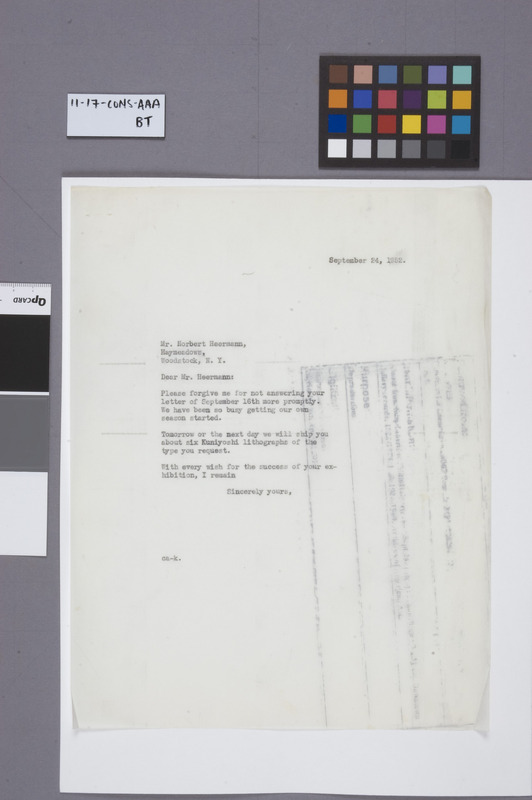 Electrostatic toner (unfused) from separation notice deposited on original document, a carbon copy typescript. Before treatment. 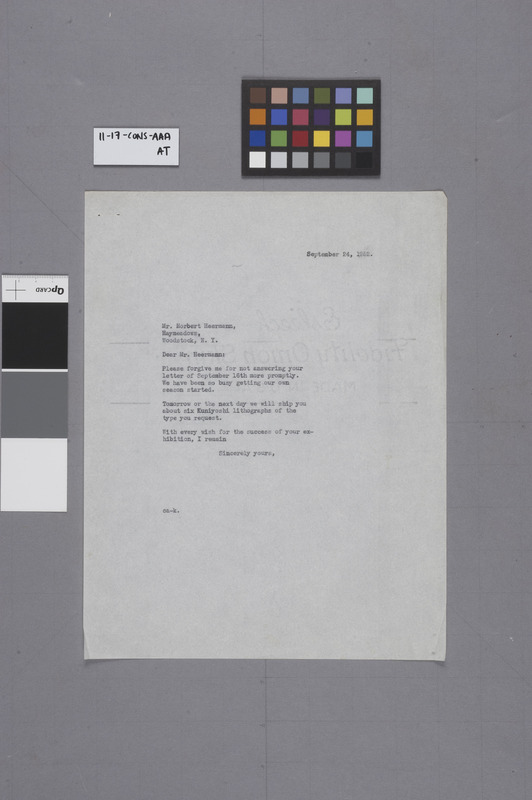 Electrostatic toner (unfused) from separation notice deposited on original document, a carbon copy typescript. When object was moved from blotter, more offset occured, indicating toner is primarily on verso. 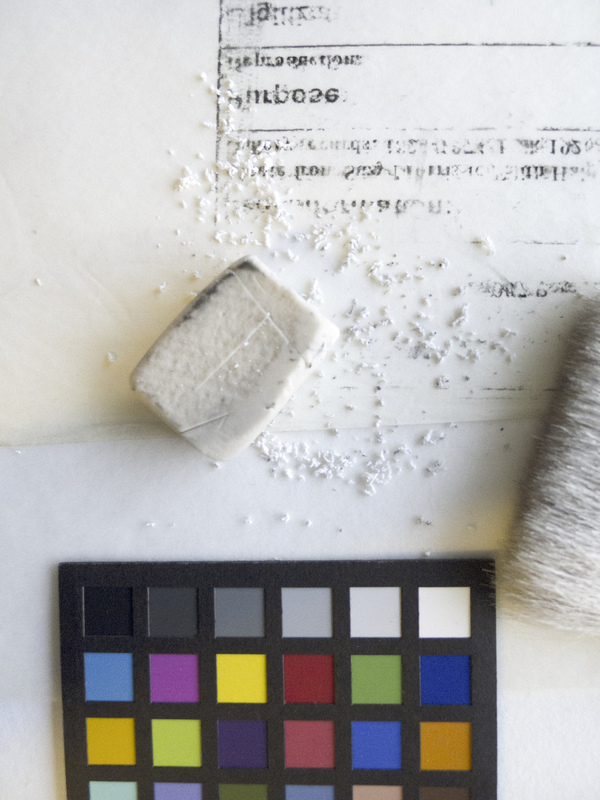 During treatment, use of vinyl eraser crumbs to lift, reduce and remove unfused carbon toner from verso of document. Object is shown face-down on a non-textured, low friction surface to limit movement and offset of original carbon copy media on typescript. After treatment. The front of the object, seen in visible light. The unfused toner has been removed from the back. 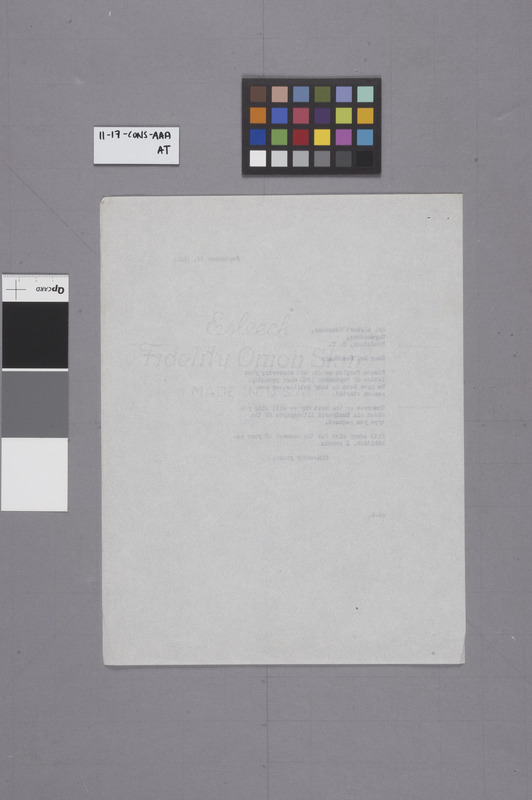 Now that the unfused toner has been removed, it is easier to perceive the offset of the carbon transfer sheet which was held between the actual letter as it was typed, and this copy paper. Can you see the difference in tone on the paper where the outline of the letter paper can be seen? 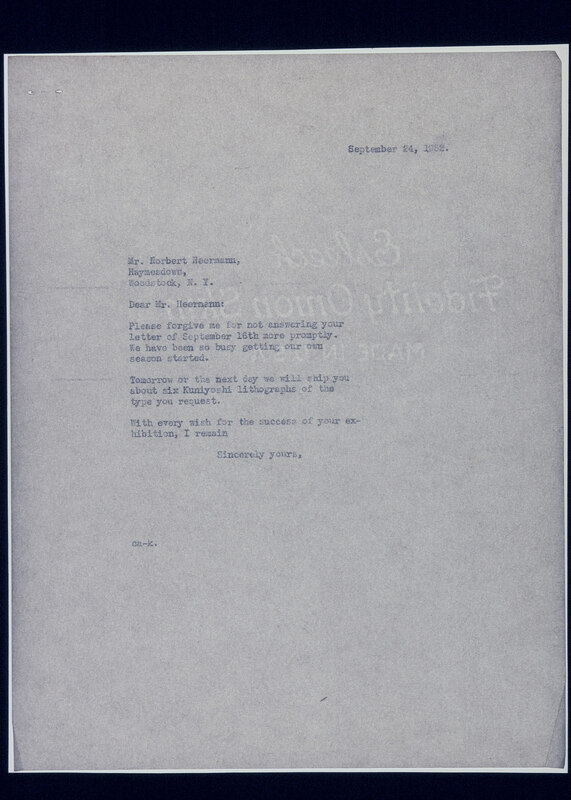 This lets us know that the original letter paper was a much smaller size for short, personal correspondence. What else do you see? After treatment. The back of the object after treatment, seen in visible light. The unfused toner has been removed. The bonding of toner to paper support can fail due to product or equipment malfunction. 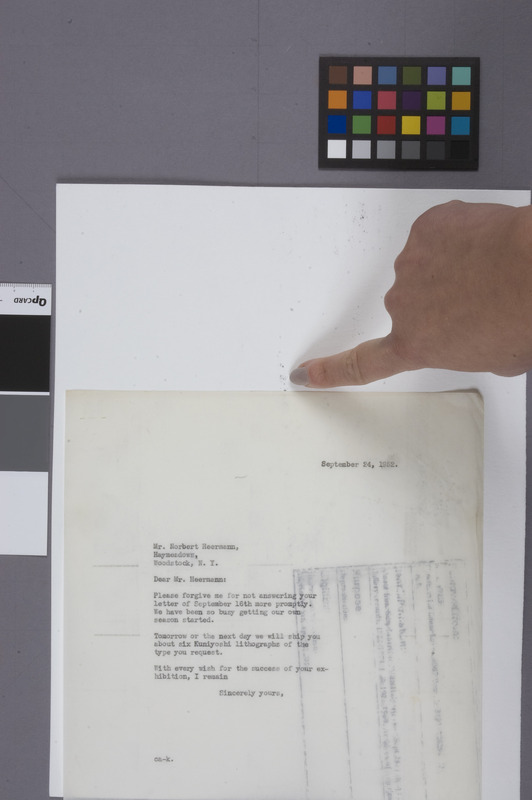 In this isolated incident, the toner from an “object removed” notice was placed in an archival collection offset and transferred directly onto the adjacent collection object. Other notices printed in the same time period did not show evidence of this same problem, so it may have been an isolated incident of equipment failure (or failure to warm up) in which the fusion temperature was not properly reached. Additional object removal notices from that day were identified and examined in other files, and nothing similar was found. Luckily, the toner was on the back of the object. 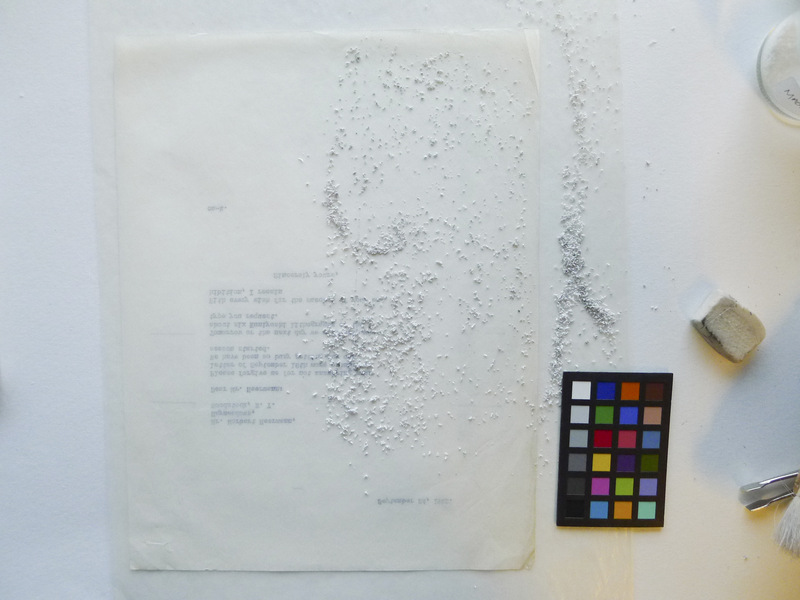 The treatment involved the conservator removing the unbound toner from the collection object using minimal pressure and grated vinyl eraser crumbs while the object lay face down on a non-textured and low-friction surface, so as not to disturb the media on the front. The removal would have been even more painstaking if the toner had deposited on the front of the object, which itself is a carbon-copy typescript – exceedingly vulnerable to erasure through friction during the treatment action. 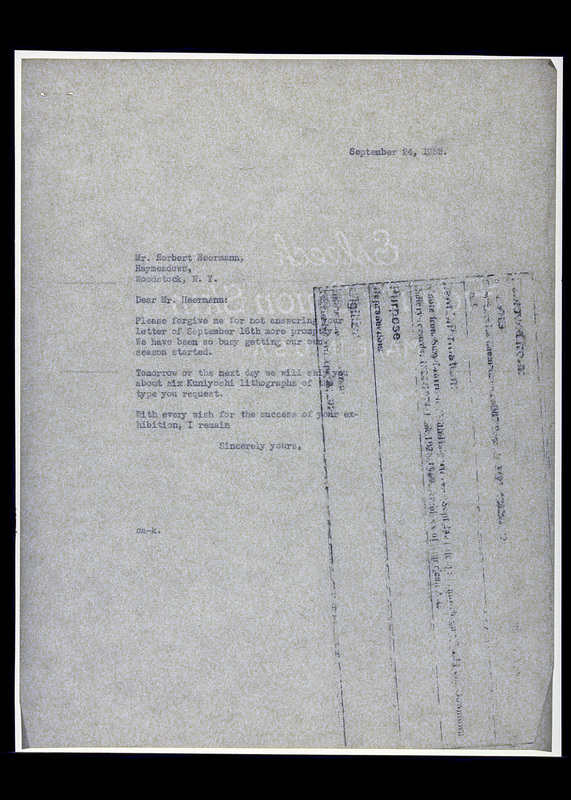 Amazingly, in the after-treatment photos, we can now see more clearly the offset of the carbon sheet surrounding smaller letter paper, where it was held firmly against the typewriter roller. This is evidence of the object’s making, which we also do not want to remove. 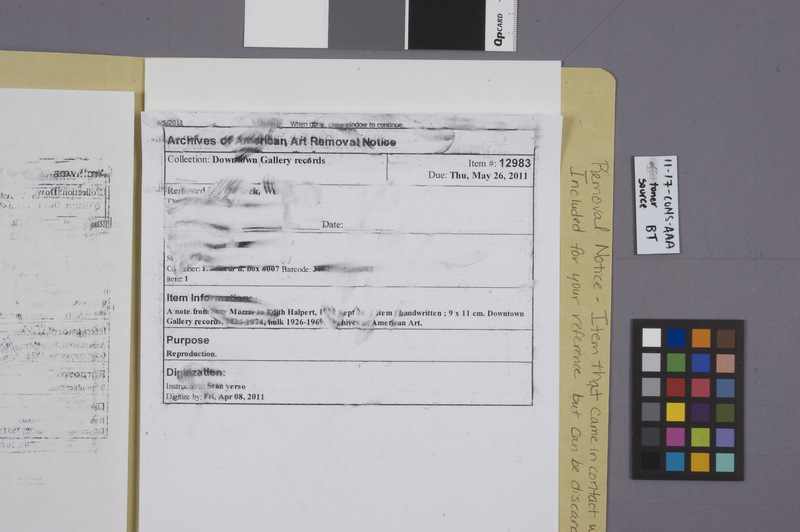 Widespread toner adhesion failure occurred at one of the Smithsonian’s museums causing the registrar’s documentation and labels for slides, folders, and boxes, to smear when handled. The common variable was thought to be a series of new energy-efficient printers that had been recently installed. Through a quick staff survey, an interview with the technical product representative, and some low-tech testing using the “peel test,” the problem was determined to be the result of a cost-saving measure in purchasing generic, universal toner cartridges, rather than original equipment manufacturer (OEM) cartridges. It is possible that in order to achieve a lower cost, either the ratio of cheap toner particles to the more expensive acrylic binder was larger, thus rendering a less-fusible material; alternately, the toner contained polymers with a melting point that differed from the specified equipment temperature. Indeed, variations on use, intended printing surfaces, and non-original consumable (non-OEM) parts often void the warranty on manufacturer’s equipment. The problem was resolved by discussing and demonstrating the Peel Test to purchasing managers and collections staff together, in order to support the critical need for the non-generic toner. Alternately, to address both staff’s goals, they could also decide which specific printers were to be dedicated and resupplied with the higher cost toner for the creation of permanent records, and achieve cost savings with generic replacements elsewhere. Furthermore, upon advice from the manufacturer, the printers’ settings were tested to determine the appropriate print specifications to best fit the paper stock’s weight and surface texture to avoid laydown of excess toner causing the smearing. 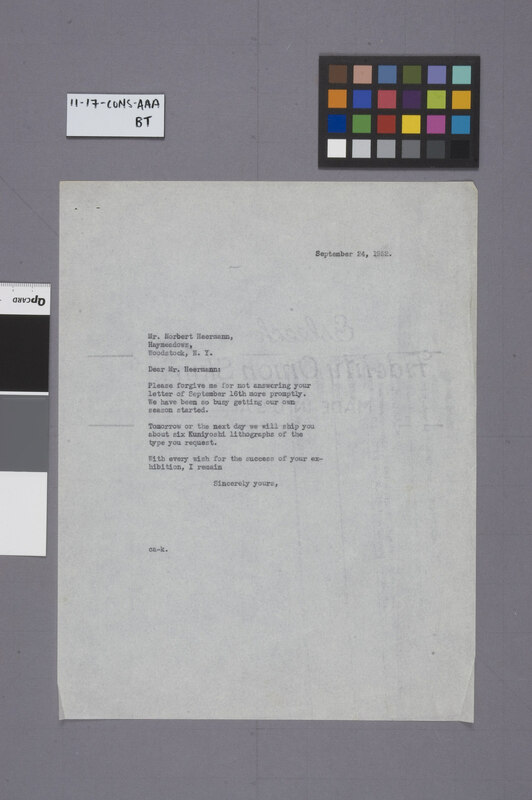 National Archives and Records Administration, and Norvell M.M. Jones. “Testing Electrostatic Copy Quality: The Peel Test,” 1999. Carlin, John C. 1996. Preservation of Facsimile Transmissions That Are Federal Records. 96-3. NARA Bulletin. Washington, D.C.: National Archives and Records Administration. “Guidelines for Preservation Photocopying of Replacement Pages,” 1990. Association for Library Collections & Technical Services (ALCTS). Accessed December 21. Preservation Facsimile. 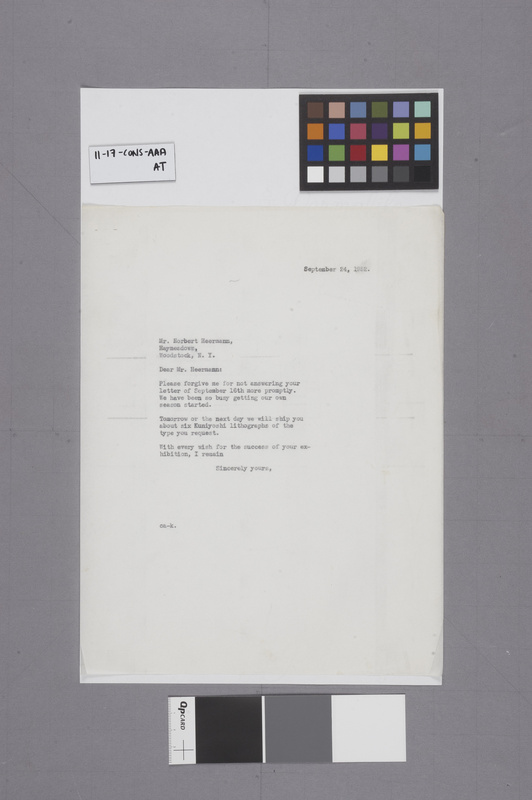 “Collections Care (Preservation, Library of Congress).” 2016. Accessed December 21.